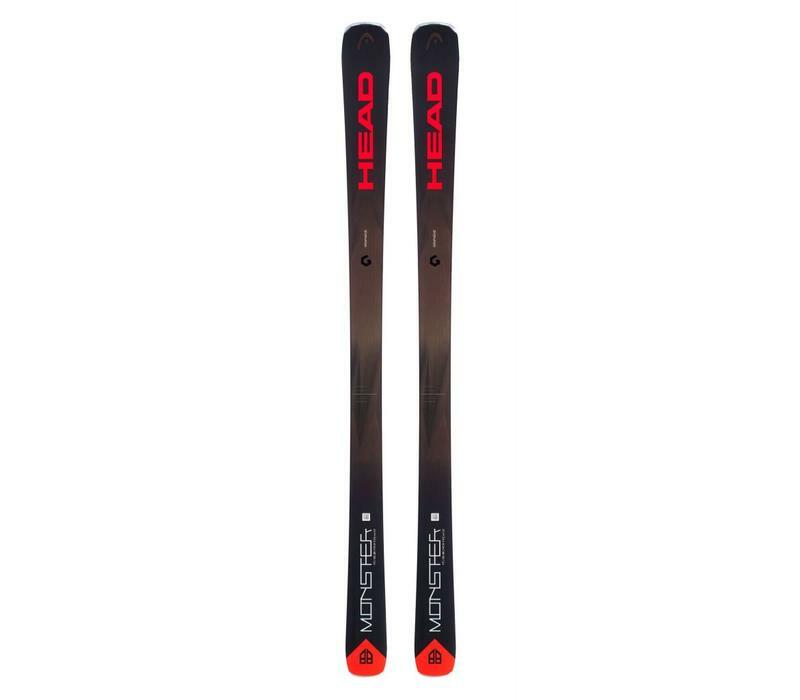 The Head Monster 88 Ti is a real powerhouse of a ski with a classic, piste based all mountain waist width of 88mm giving it great on piste carving ability coupled with enough float to enjoy those occasional off piste excursions; fun and very secure. This, slightly lighter, upgraded version of the Monster 88 has seriously improved what was, in any case, a pretty decent All Mountain Ski. The Titanal sheet in the ski's core retains its recognised punch, especially through the chop and yet its lighter weight makes skiing it much less tiring. A very solid edge grip makes for a very secure ride in all conditions and the Monster's have great versatility in a variety of terrain and snow conditions. We really like the simple graphics which to our mind top off what is an excellent all mountain ski for those who, despite their wishes and best intentions, recognise they will be spending a lot of their skiing time on piste. It's no coincidence that our World Cup Rebels choose the Monster 88 on their days off. It's the perfect ski for your off-piste exploits. As an expert skier, enjoy its wider build and perfect balance and power your way over any terrain. You master the most challenging inclines with controlled transitions. And with its stability and stiffness, the Monster 88 can more than hold its own during your on-piste adventures.